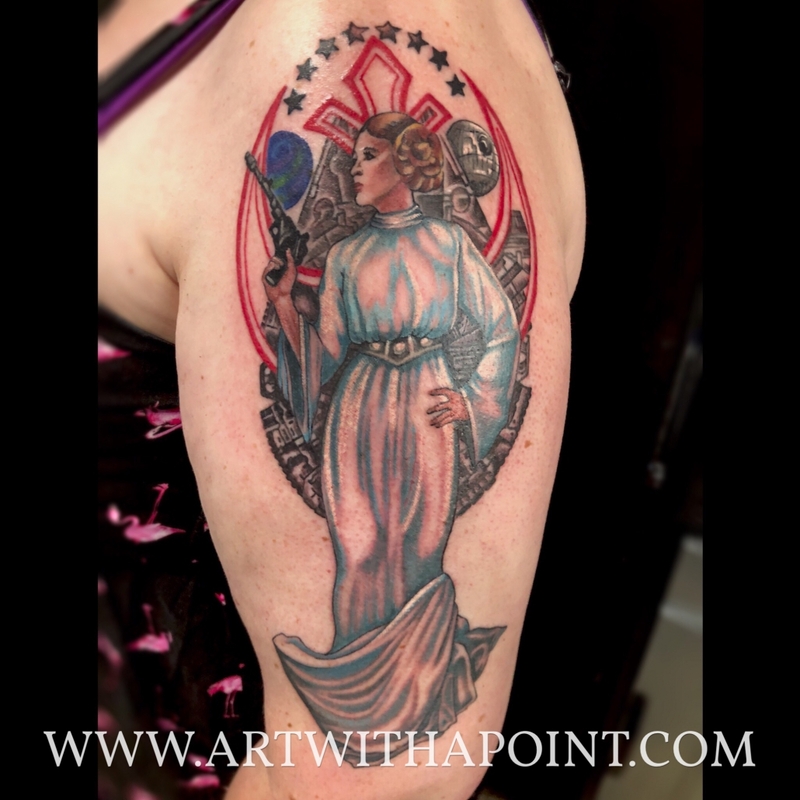 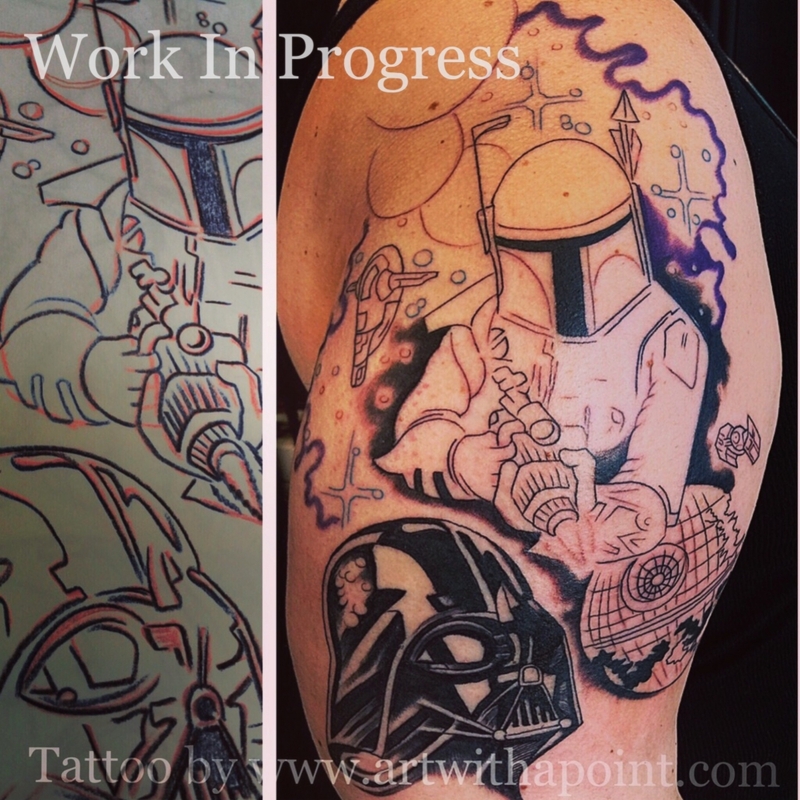 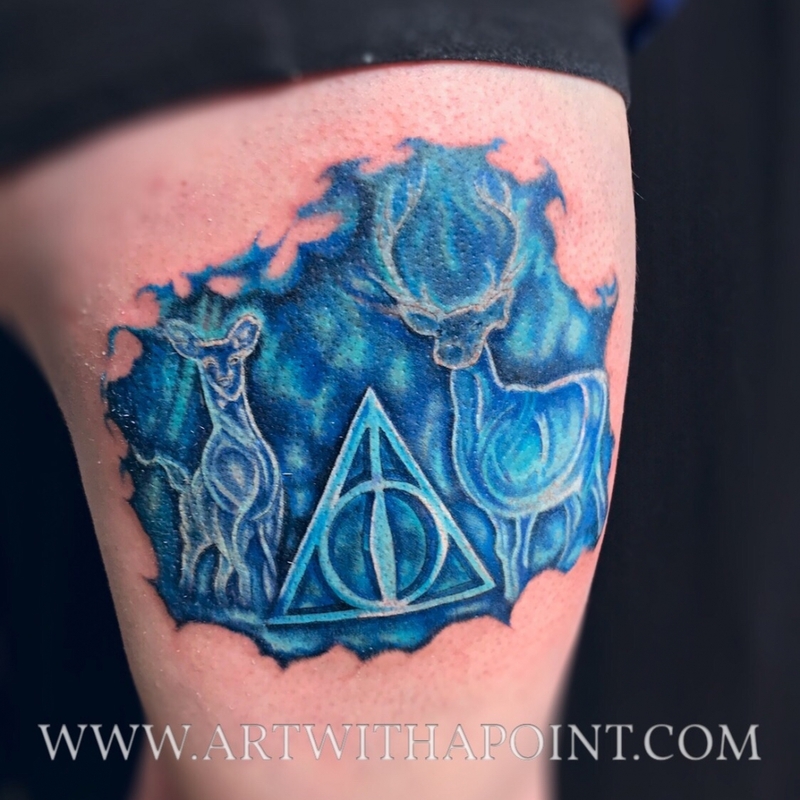 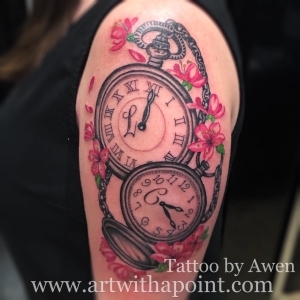 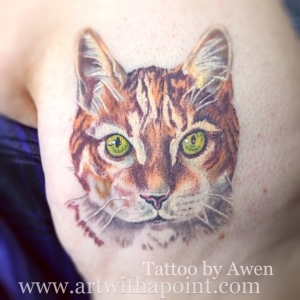 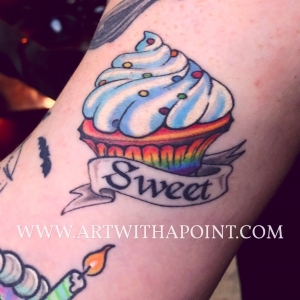 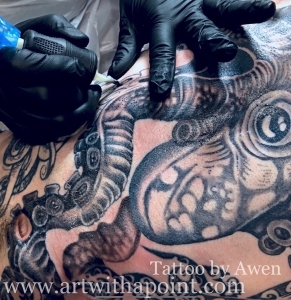 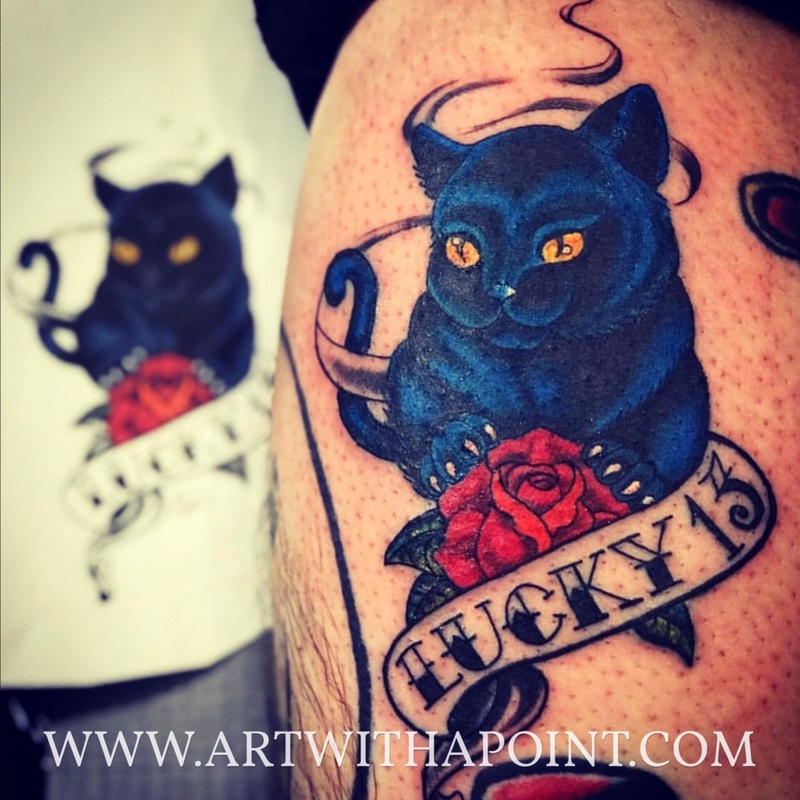 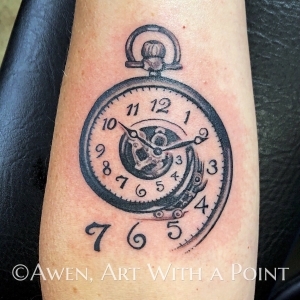 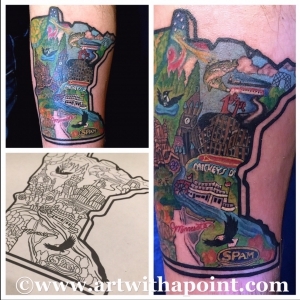 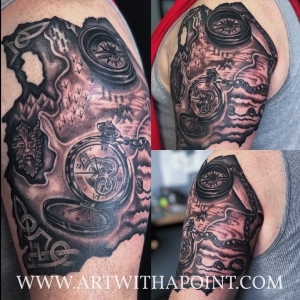 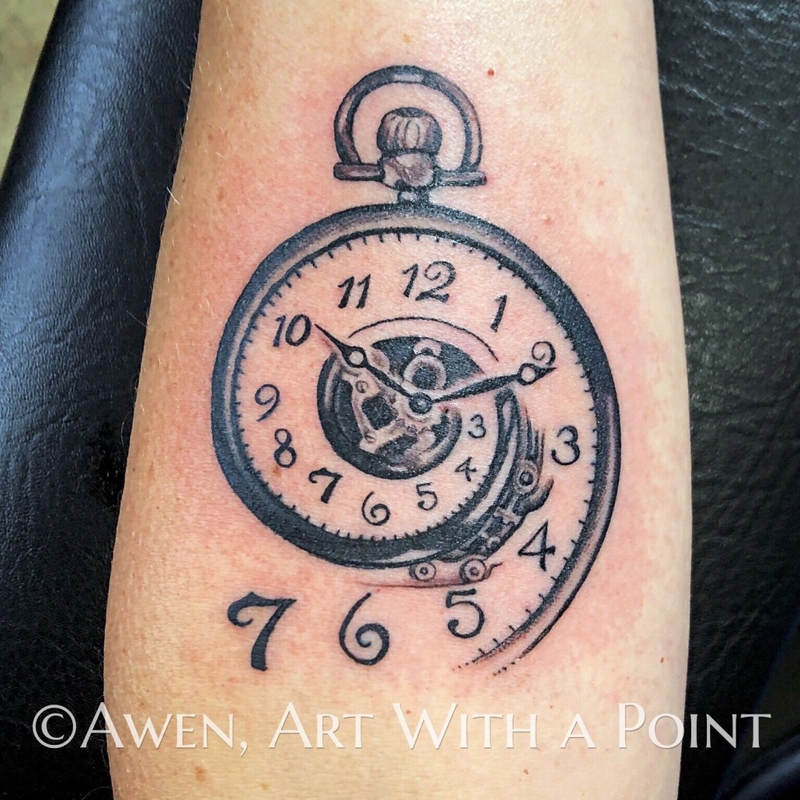 I’ve been tattooing in the Twin Cities since 1993, creating custom designed tattoos in a variety of styles. 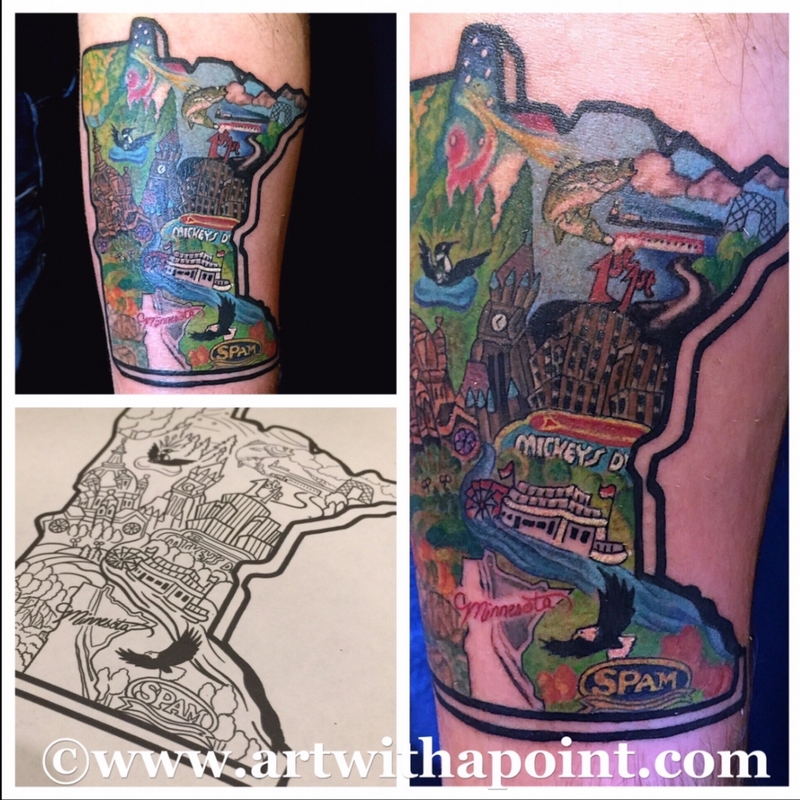 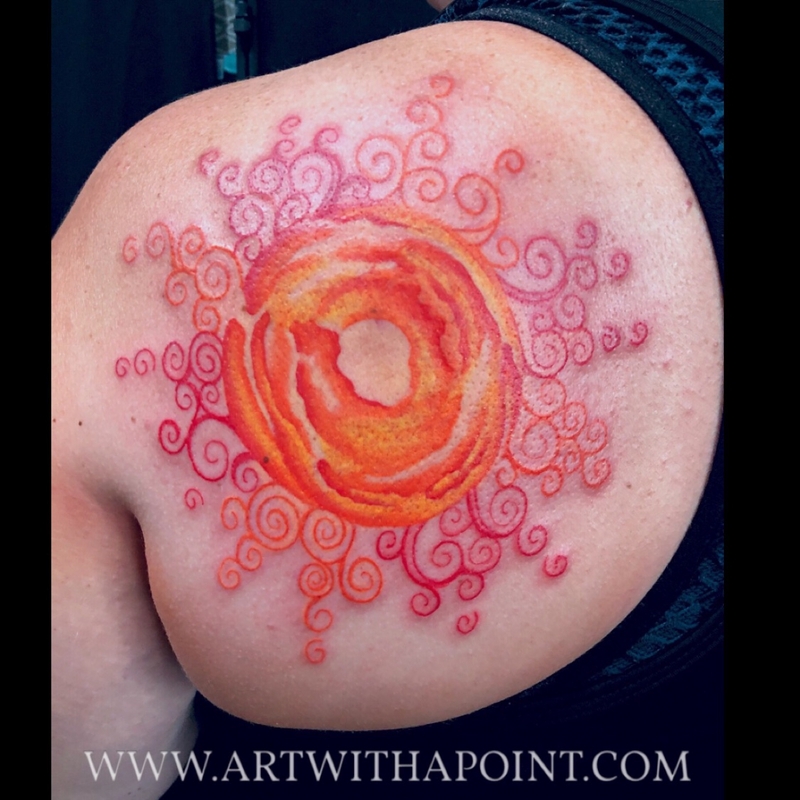 In 2001 I opened Art With a Point Custom Tattoo Studio in Minneapolis’ Uptown neighborhood where I continue to work today. I recognize tattoos as Rites of Passage in a society that tends to fall short of recognizing personal growth and celebrating authenticity. 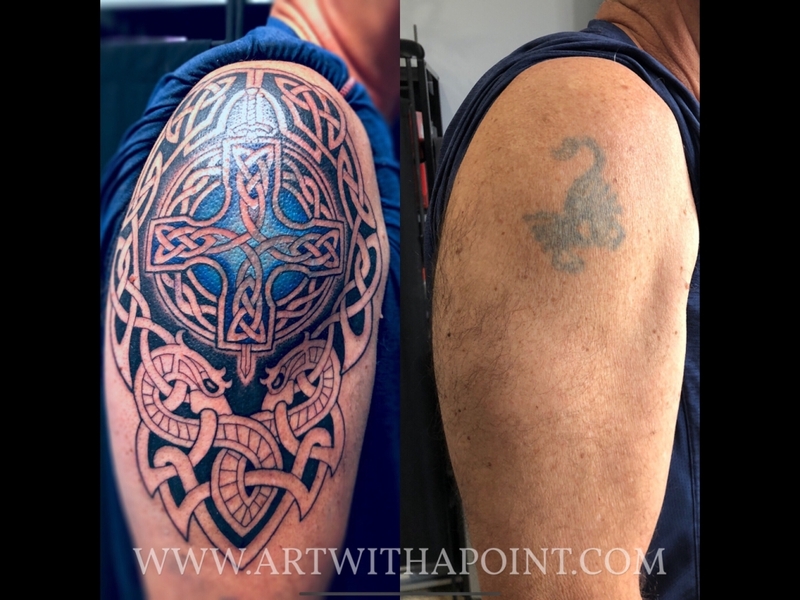 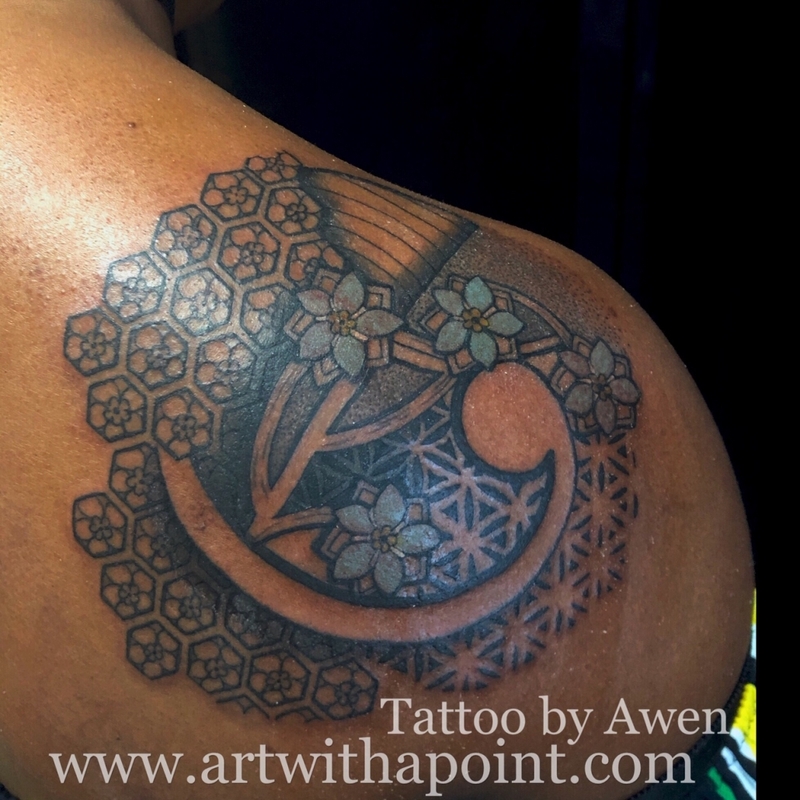 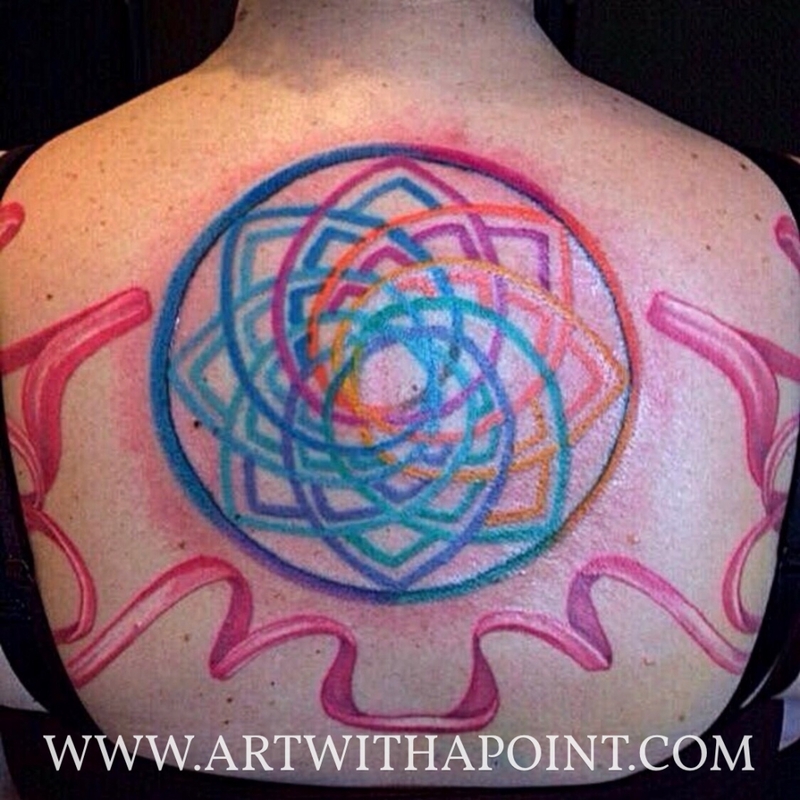 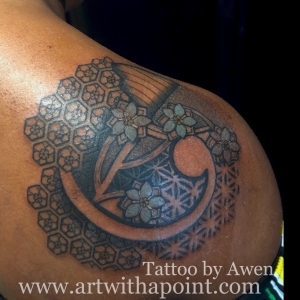 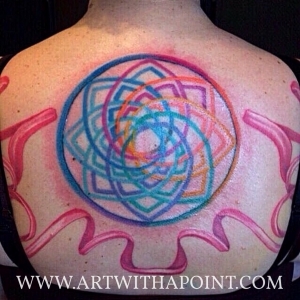 Stylistically, I enjoy clean line work including: geometric patterns, Celtic knot work, Viking art and Mandala imagery. I spend a lot of time in Minnesota’s Northwoods, so I also enjoy organic nature related imagery, floral and wildlife as well as pet portraiture. 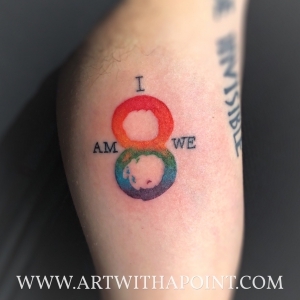 And I’m a Nerd at heart, so I enjoy all things Star Wars, Sense8, Stranger Things, American Horror Story, Marvel, and anything toy or gaming related. 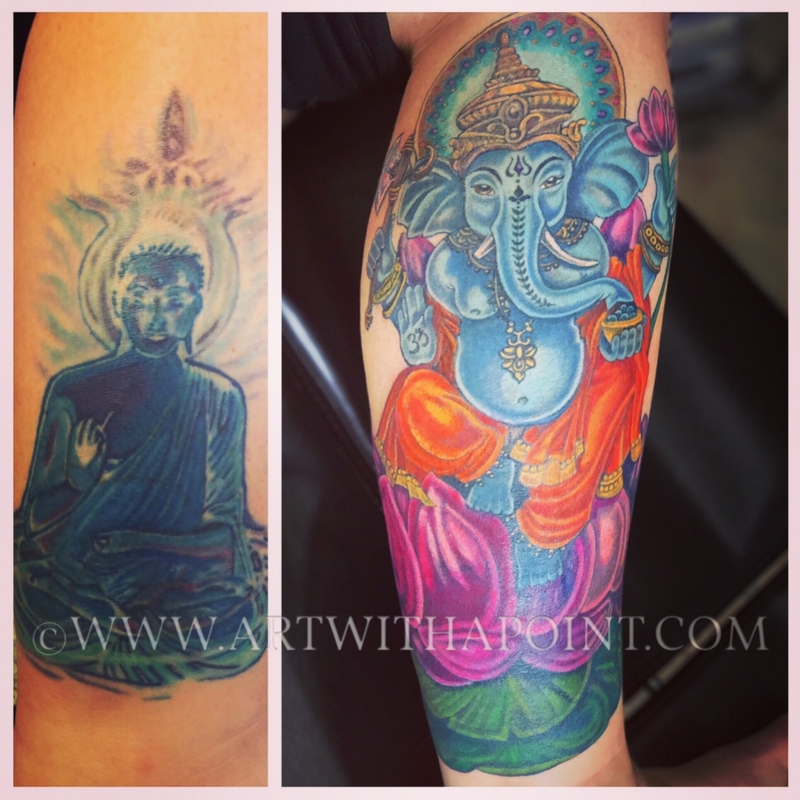 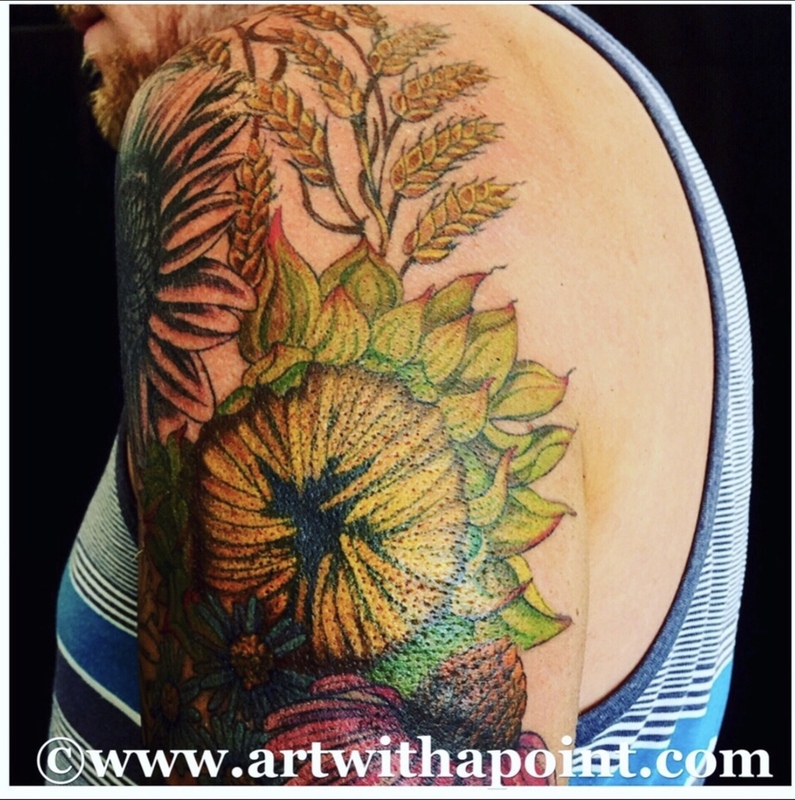 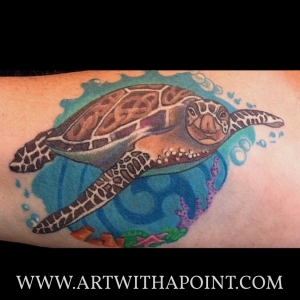 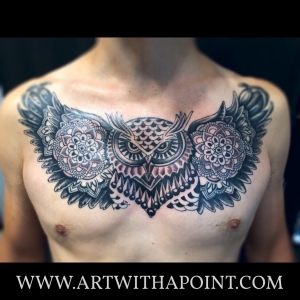 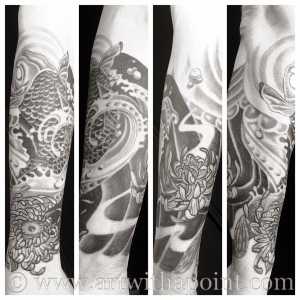 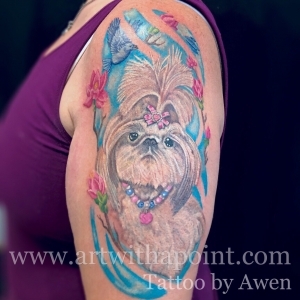 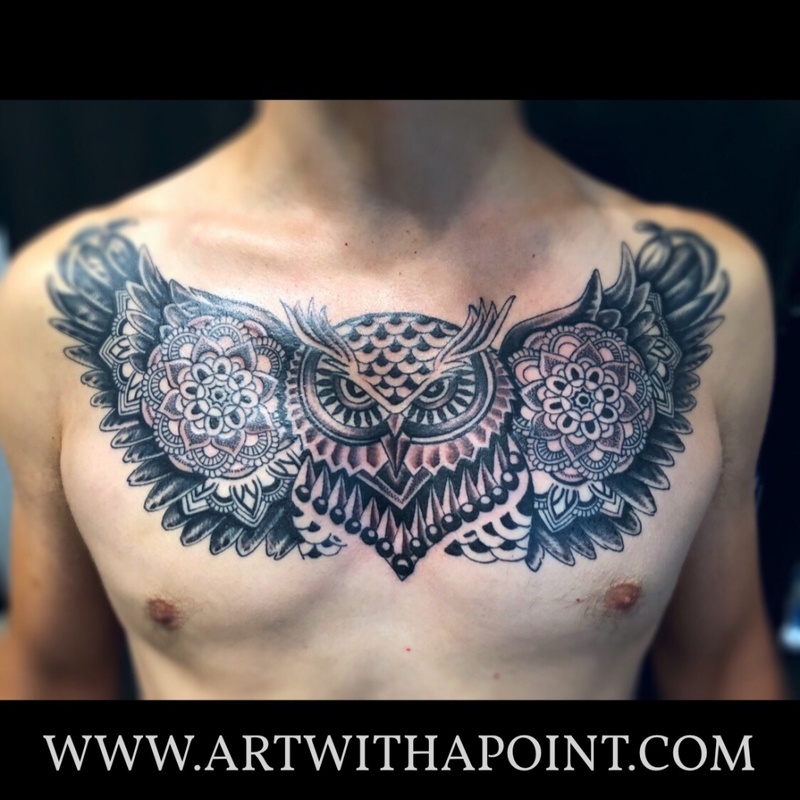 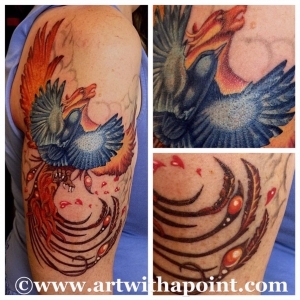 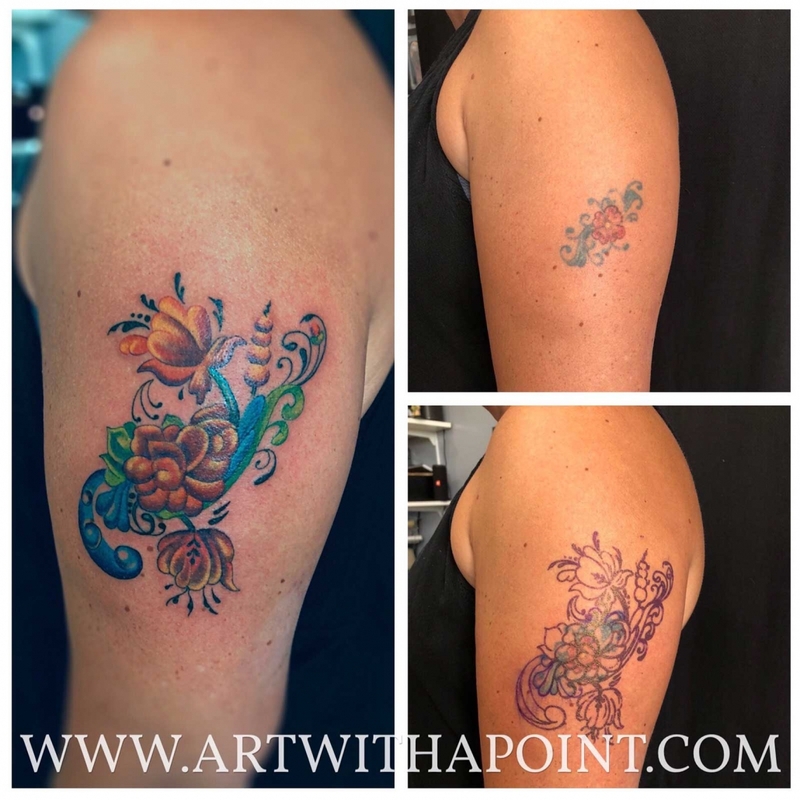 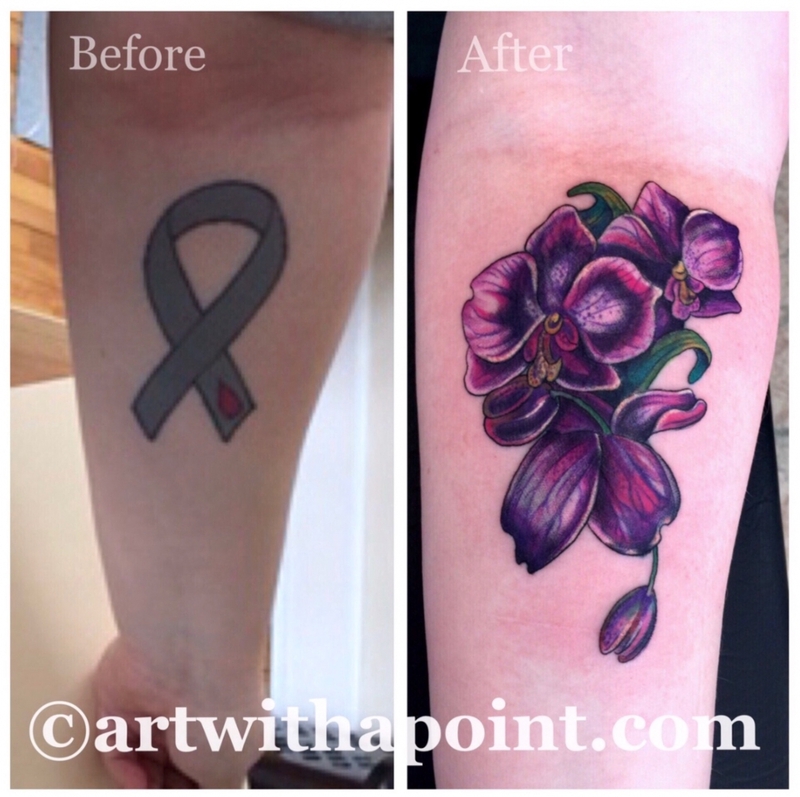 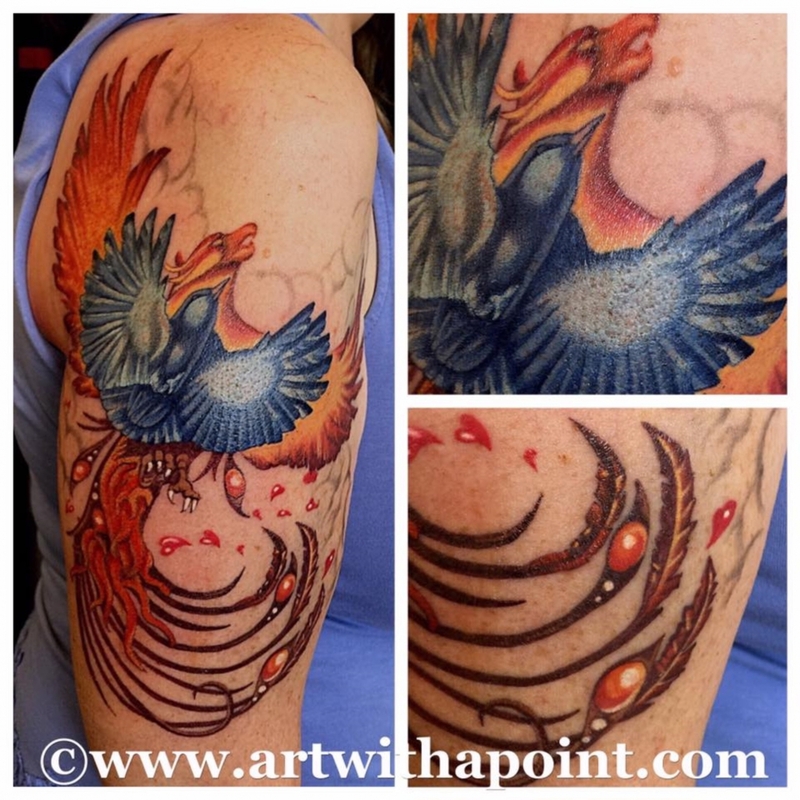 I specialize in coverup work and enjoy transformations that support clients in loving their art all over again. 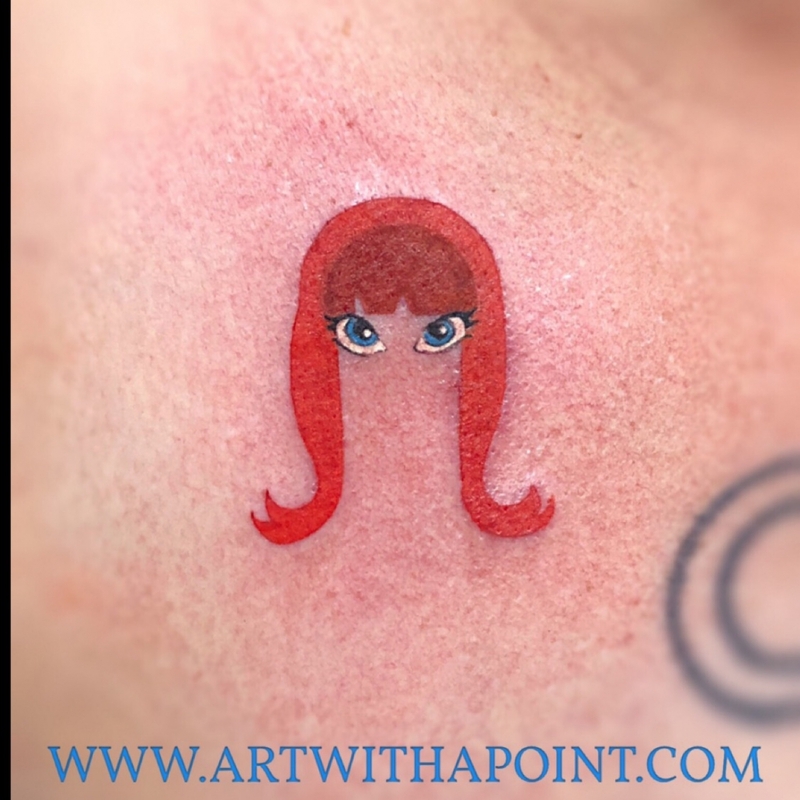 I dedicate 100% to each piece, so if I feel another artist would be a better fit for a particular style, I’ll direct you to that person. 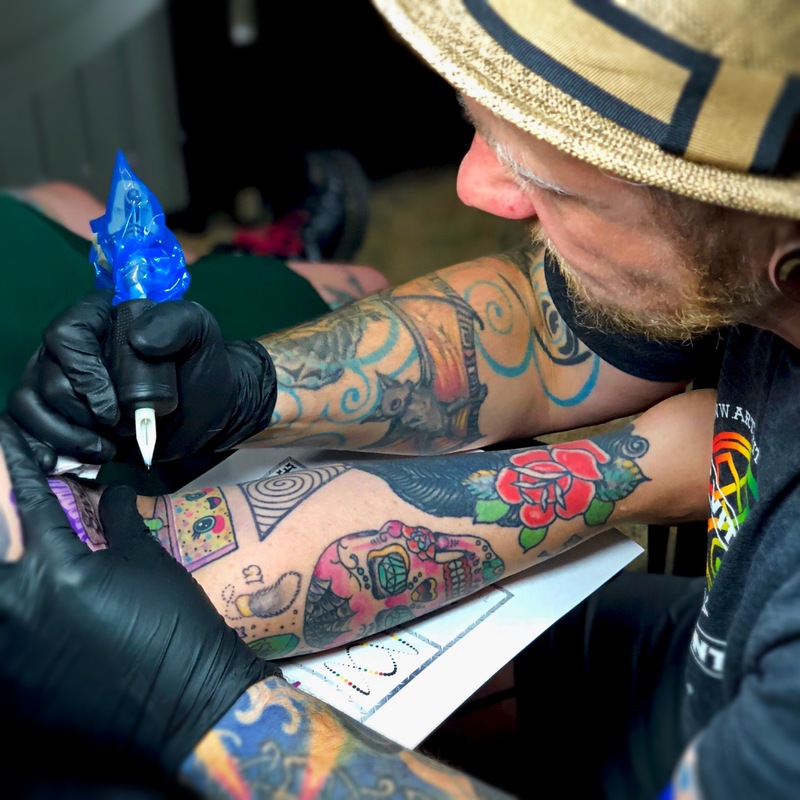 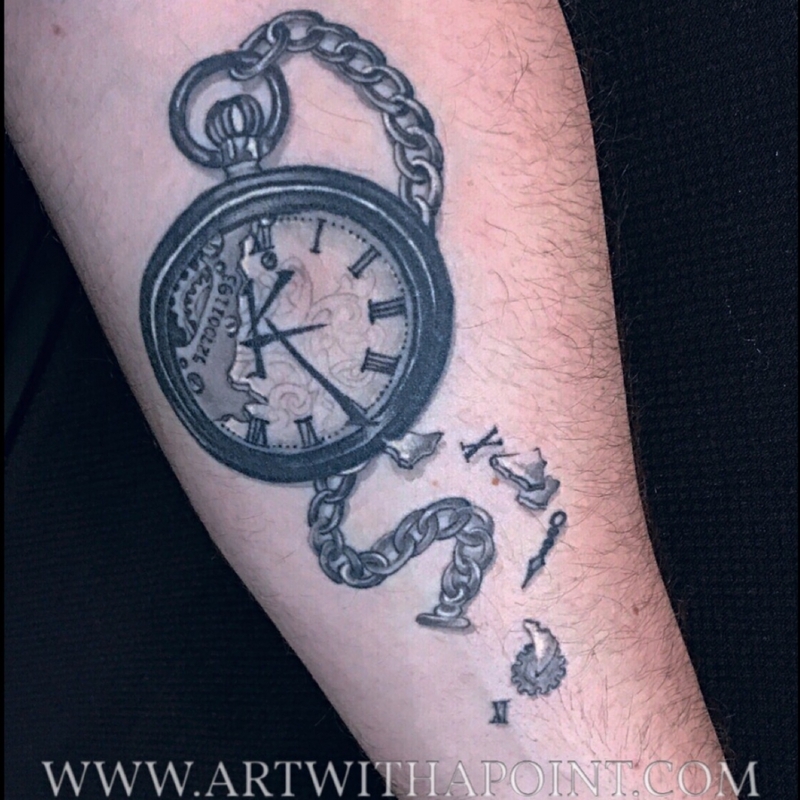 “A Constant in History, the Memorial Tattoo”, with Dr. John Troyer of the Centre for Death and Society, University of Bath, England.